Today is one of my favourite Bulgarian celebrations. It is the celebration to welcome the coming of Spring and the waning of Winter. 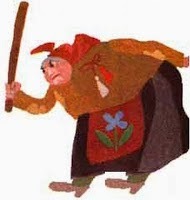 It is depicted by a cranky old lady called Baba Marta, or Grandmother Marta. 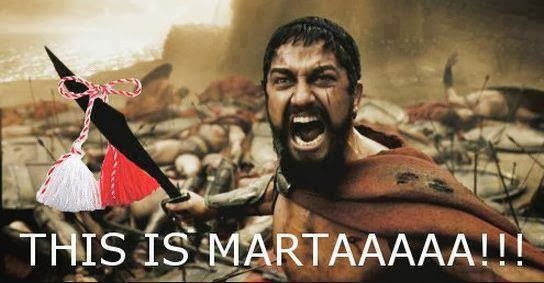 Marta is a play on words for March, the month being called Mart in Bulgarian. Weather wise we find that it is quite similar to April in the UK, one day it can be brilliant sunshine and the next you can be confronted by all sorts of weather. I seem to remember something being said about in like a Lion and out like a Lamb. So the weather can be as contrary as an old lady, one day she can be all sweetness and light, but the next it could be like she has been on a diet of vinegar and lemons. Definitely not an old lady to mess with, and one who will keep you on your toes. Even today the weather is a bit dull and dreary, and we definitely had warmer weather in January and February. Even the fire is lit this afternoon, although that might not be solely down to the weather as we have both been a bit poorly these past few days. 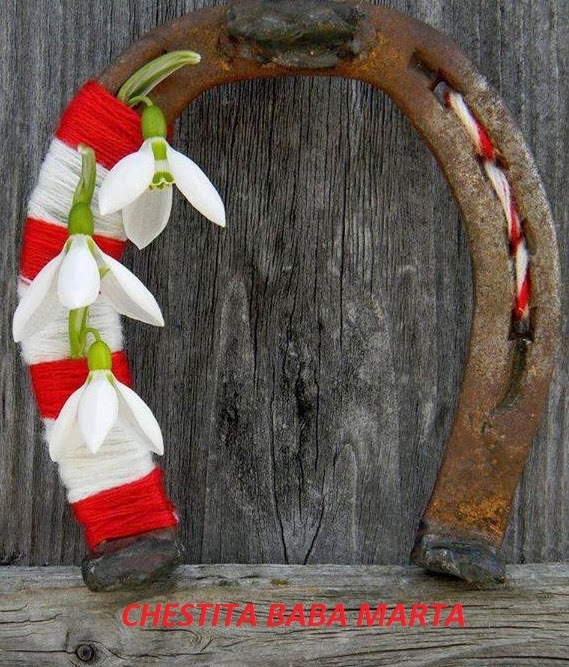 On the 1st March Bulgarians exchange Martenitsi, and wish each other Chestita Baba Marta! The custom is to essentially wish each other good health, luck and happiness. When Baba Marta is smiling the sun shines and the weather is warm, but when cross, or her bunions are playing her up, the cold stays longer and it may even snow. These Martenitsi are the red and white ornaments, made from twisted threads and are often worn around the wrist or neck, pinned to the left side of clothing, especially coats and jackets. You can even see them decorating house doors and hanging in vehicles, some people even buy them for their pets to wear. 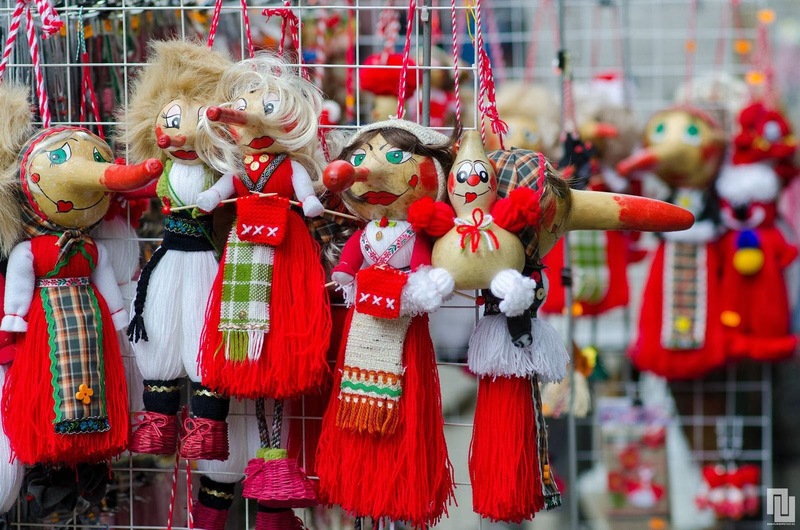 At this time of year there are many stalls selling these Martenitsi, but there are still those who prefer to do things the traditional way and will hand make them for their friends and family. The colours are quite significant, with white symbolising strength, purity and happiness, and the red with health, blood and fertility. As shown in this picture Snowdrops are quite often incorporated as they are often the first things flowering after winter. Quite often you will notice that a couple of figures are represented, and these are known as Pizho and Penda. Pizho is the male figure, and can be identified by being mainly white. As you might have deduced the mainly red figure is the female of the two, and is called Penda. Maybe it is a Bulgarian version of Yin and Yang, with all things being balanced out. There are different schools of thinking, firstly there are those who feel that a Martenitsa can be thought of as an amulet and is used for protection against Baba Marta, whose mercurial temperament can cause unexpected misfortune. Baba Marta is thought to be gentler and more forgiving towards the person who is wearing a Martenitsa. Some feel that a Martenitsa can also be used for fortune telling or to encourage the desirable outcome of a wish. Some also believe that wearing a Martenitsa will also hasten the coming of Spring. I have to admit to being guilty to smiling when I see the Martenitsa stalls set up, it gives me a little lift thinking that soon the warmer weather will be back with us. Even though the daytime temperatures look to be holding quite steady, the night time temperatures are set to remain above zero. 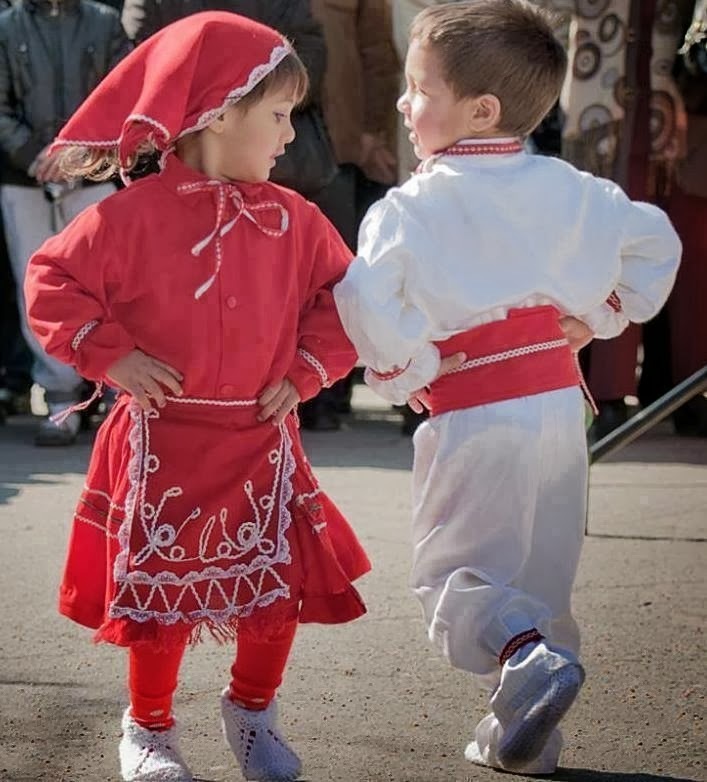 The legends behind the Martenitsa are numerous, and many think that they date back to the founding of the first Bulgarian state in 681AD. 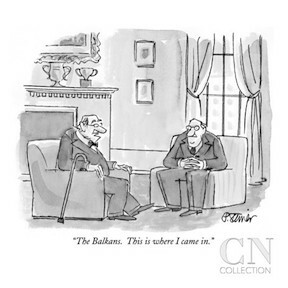 Whatever the origins of this tradition it is one in which we happily partake. It is such a popular tradition amongst Bulgarians that even those in foreign countries still observe it, and as Bulgarians venture further and further afield, more people are coming into contact with this wonderful custom. I am guessing that Bulgarians living abroad, will be faced with two choices. They will either get friends and family to send them out, or they will make their own. As those in say London are quite unlikely to see a Stork, perhaps they use the idea of blossom on a fruit tree. There were reports of Storks already having been sighted in Bulgaria, that was before the dip in temperatures. Maybe those without their thermals turned round and headed for slightly warmer climes for a couple of weeks.